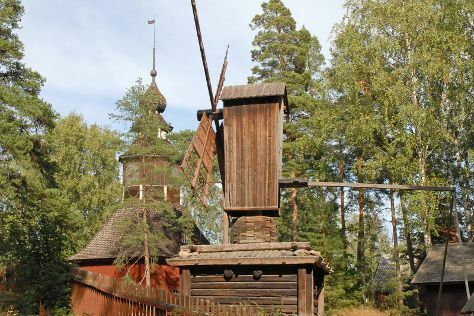 You'll explore and learn at Seurasaari Island and Open-Air Museum and Sea Fortress Suomenlinna. Eschew the tourist crowds and head to Bellevue Beach and Nuuksio National Park. Explore the numerous day-trip ideas around Helsinki: Hiidenvuori (in Iitti), Raseborg (Fagervik Church & Ekenas Archipelago National Park) and Sipoonkorven Kansallispuisto (in Vantaa). Pack the 27th (Sat) with family-friendly diversions at Linnanmaki Amusement Park. And it doesn't end there: contemplate in the serene atmosphere at Rock Church, admire the striking features of Cathedral of Porvoo, don't miss a visit to Hakaniemi Market, and look for all kinds of wild species at Arboretum Mustila. To see where to stay, traveler tips, ratings, and tourist information, read Helsinki online vacation planner . If you are flying in from United Kingdom, the closest major airport is Helsinki Vantaa Airport. Expect a daytime high around 25°C in July, and nighttime lows around 15°C. Wrap up your sightseeing on the 1st (Thu) early enough to travel back home.